ricksavpawn has no other items for sale. Thanks to their ultra-compact and lightweight design, these are the most portable binoculars to benefit from Image Stabilisation technology. This makes them the perfect companion for every type of travelling. Superb for air shows, nature trips and an excellent choice when visiting the race track or watching other spectator sports. Once you go IS, you will never, ever go back to using non IS 'nocs. I also own a set of Canon 10x42L. (MSRP $2k) These are my favorite binocs for several reasons: A) They're great for occasional use if mostly left in a Jeep/SUV/Truck/car-trunk. The IS button must be held down for "on" and is also a battery disconnect. If you don't use them for 3 or 4 months, the batteries are still good and ready to go. B) The IS compensation angle is 1.2 degrees, good enough to use from a moving vehicle or boat in calm waters. C) They're lightweight, so you can observe something like birds for quite a while before fatigue sets in. You might think weight is no concern, but try using a set of heavy 10x42L's or 12x60 Leupold for 15 minutes, your arms will turn into quivering noodles. D) The IS allows tracking movements without jumping, so you can study bird feathers while the bird is flying. (Quite the effect, actually) The optics are superb, second only to the 10x42L's. You pretty much need a set of $1,000 minimum cost non-IS binoculars to equal the optic quality. We're talking Canon, the makers of top end DSLR's and lenses, so it stands to reason. Operation note, and this applies to all Canon IS binocs: turn on, then rapidly shake up and down and side to side a few times. This quickly resets the accelerometers and the image then becomes rock solid. Otherwise, it can take 15 or 20 seconds or so to steady up. (Shortcut to more stable IS fast) Also note that the IS helps A LOT in low light. The "small" 30mm objectives aren't the best in the world of binoc specs for light gathering, but the IS makes up for it by keeping the image steady as a rock. Any jiggle at all in low light makes something about impossible to see. I have owned many Canon and Nikon versions of the IS / VR binoculars. I have also tried the Fujinon Techno-Stabi's which are about identical to the NIKON Stabileyes. I can honestly say that I prefer the Canons easily over the others. I have sold my Nikons and now own the CANON 8x25is, the 12x36is, the 15x45is, the 18x50is, and the 10x42L is. The 18x50's are built like a tank. That being said, they are kind of heavy for long viewing sessions. However, the view thru the 18x50is is clear and crisp with no noticeable distortions. I prefer the CANON'S over the NIKON'S because you just pick them up and press a button for the IS. The NIKON'S require you to first turn the system ON (wait a few seconds), then press another separate IS (VR) activation button. Maybe not a big deal to some but too much trouble when you want a quick look at something and don't have a few seconds to spare. The 18x50's are great for bird watching or plane spotting, etc. 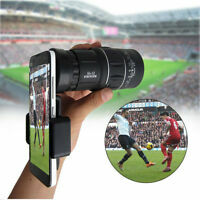 The 18 magnification is too powerful for many general purpose viewing scenarios but they are great for longer distances. I'd been thinking about getting a pair of these for years and finally pulled the trigger. They did not disappoint! 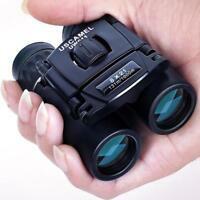 Crystal clear, edge to edge sharpness make these an excellent conventional binocular. Then when you add the image stabilization, they are in another class. I honestly can't see getting regular binocs if you can afford these. You would be hard pressed to buy a better pair of binoculars for the money. Several months ago I was looking at two bucks on the edge of a clearing. I was trying to count how many points they had, but couldn't hold my old binoculars steady enough, not to mention, the clarity of the image was less than perfect. I decided then that I was going to purchase a good pair of binoculars. I can't say enough good things about these canon image stabilized binoculars. They provide a sharp clear image that is all but rock steady. There are 10x30 and have a much better view than my old 10-30x60 zoom binoculars. I wish I had bought these years ago instead of playing around with inferior ones. If you use binoculars you will be thrilled with the canon I.S. It's amazing how much more you can see when the image isn't shaking all over the place.